Great Hill Dental Boston is once again making smiles brighter for Smiles For Life 2019! Now through June, you get a professional teeth whitening kit for only $100, this is a huge savings on whitening services!Every penny benefits the Smiles For Life charity organization, as well as our local charity, The Home for Little Wanderer. Opalescence donates the whitening kits, and we donate our time and resources to ensure children in Boston, MA and around the globe keep on smiling. Stop by our office or give us a call for additional details. We can’t wait to see you smile! 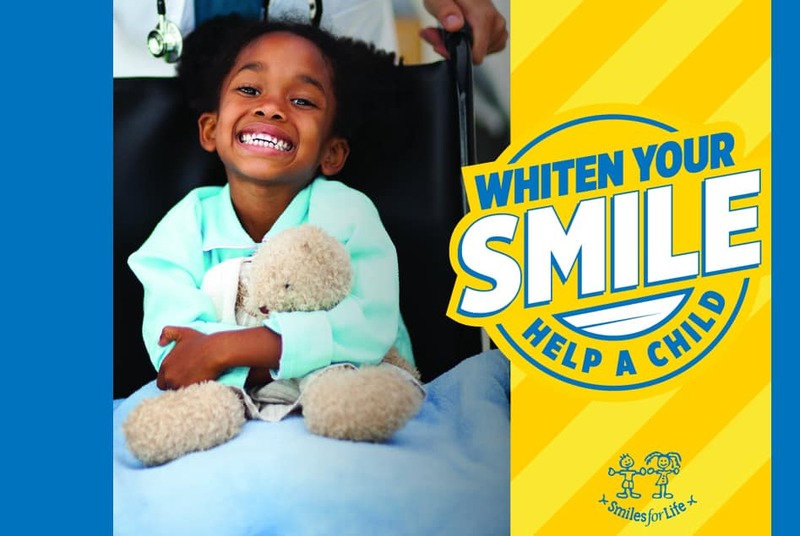 When patients have their teeth whitened at Great Hill Dental, they can smile a little brighter knowing that they are also bringing a smile to the face of a child in need. Proceeds from your whitening go to this wonderful children’s charity. Just come on in and donate $50 – we’ll send you home with an Opalescence in-home whitening kit. That’s a big savings, too! But wait! There’s more – we’ve also partnered with The local charity Home for Little Wanderers. They serve the community with individual, group and family therapy, child and family skills development, help with adoption and foster care, and social, vocational and daily living supports, to name just a few. 50% of all proceeds go to Smiles For Life, the remaining 50% go directly to the Home for Little Wanders. The Smiles for Life Charity campaign runs through June 30th. Come on in! Wow , 2014 has already been a whirlwind of a year and it is only a month and a half young. We installed the new 3D Pan/ Ceph machine and got all new computers. Cannot wait to bring this new technology to patients this spring. We also have added two more hygienists ; welcome aboard Heather Lawrence and Tuong Vy Pham! With you now here we plan to expand our Saturday hours as there has been tremendous demand. We even are adding a Periodontists; Dr. Yong Hur! Dr. Hur comes to us from Tufts Dental School where he is a clinical researcher and specializes in Sinus Lifts for implant placement. As we settle into our second anniversary in March we feel we are really settling in as part of the community. We had an expo day at the Brigham and Womans hospital which brought us the opportunity to promote our practice within the Longwood Medical Area. We are forging a great relationship and pledge to continue to serve the people from the community of Mission Hill and the hospital area. Thank you to all (Darlene, Xenakis, Kaitlyn, Denise, Dr. Wilkes, Dr. Pawlowski) who made this event possible. Happy Birthday to everyone who shared a January Birthday. Mary Handy, Sabrina Katadzic, Gladys Ojimba, Julie Ortiz and Dr. Pawlowski. In February we are celebrating Dr. Suda and Dr. Moshirfar! Congrats to Gladys Ojimba for Employee of the Month. Her commitment to excellence and her smile bring a tremendous attitude that is contagious. Keep it up!